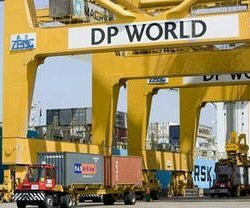 DP World have advised that from 3 April 2017 there will be an increase to the Infrastructure Surcharge in Melbourne from $3.50 to $32.50 per container, while in Sydney the per container fee will be introduced at $21.16 for all containers received or delivered into the terminal. Both above fee’s will be implemented from the indicated date for all containers where S.A.L. Global Logistics manage the Transport for both Import & Export movement, and passed on at cost. It should be noted that an infrastructure surcharge is already in place at Brisbane Terminal, whereas there is no such charge at Fremantle Terminal. Should you have any questions or enquiries, please contact myself, or Brad O’Brien (0438 047 226).